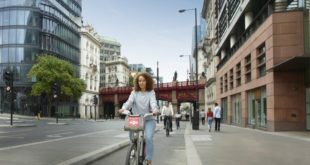 Researchers at University of Calgary in Canada say cyclists, when riding city streets, should wear body armour, not just helmets. 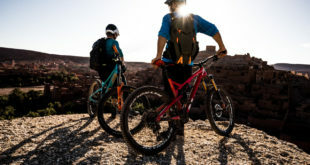 Canadian trauma surgeons have compared injuries between ‘street cyclists’ and mountain bikers and say both groups should consider wearing chest protection. This is in addition to cycle helmets. 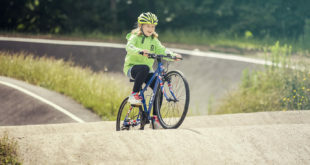 "Helmet and thoracic protection should be advocated as injury prevention measures," concludes the study, carried out by surgeons at the Foothills Medical Centre in Calgary, Canada. A University of Calgary press release issued earlier today said the research study, published in the Canadian Journal of Surgery, looks at incidence, risk factors and injury patterns over a 14-year period among 258 severely injured cyclists in southern Alberta, Canada. The trauma surgeon’s study doesn’t list any other transport modes that may also need protective wear, just cycling. (And, yes, the press release really does use a library photograph of helmet-wearing cyclists from the late 1980s or early 1990s). “Trauma to the head is still the number one injury in both cycling groups, which underscores the importance of wearing a good-quality, properly-fitted helmet,” said Dr. Chad Ball, the senior author of the research paper. The release adds: "Many specialized bike shops now carry a variety of protective vests, often referred to as body armour, which provide a mix of padding and hard-shell coverage." Remember, the surgeons are recommending body armour for riding to work or popping to the shops, as well as mountain biking. The study reports that, with 370 km of bicycling lanes and pathways, Calgary has the "largest network of bike paths per 100 000 population in Canada." A study from March this year, and also from the University of Calgary, showed that collisions with motor vehicles pose the greatest threat to cyclists. Helmets and body armour are not designed to protect cyclists who hit, or are hit by, cars and HGVs.